He will walk out of a remand centre. On 15 March, Kiev's Dniprovskyy district court upheld the request of the defence to soften the measure of restraint against Ukrop party leader Hennadiy Korban and released him under house arrest, his lawyer Oksana Tomchuk has said on Facebook. The prosecution confirmed the news, adding that it would consider appealing the court ruling. The court hearing was held behind closed doors. 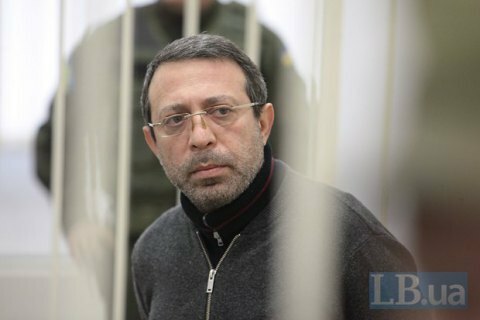 Korban's arrest expires on 15 April and earlier today the Kiev court of appeal rejected Korban's appeal to cut it. Korban is subject to investigation into the abduction of the State Land Agency head and the department head of the Dnipropetrovsk city council; gross embezzlement of funds of the Foundation for the Defence of the Country charity; and impeding the work of election commissions. He is also being investigated for fake entrepreneurship, dirty money laundering and tax evasion.